Terrace farming is a technique almost as old as agriculture itself, being a fundamental technique for many cultures that lived in the mountains. This kind of ladder on the mountain allows cultivation of steep slopes, maximizing land use, avoiding soil erosion (keeping the nutrients in the soil) and allowing maximum utilization of the water by draining from the upper to lower terraces. It is possible to find this technique in many places around Europe, mostly developed to cultivate cereals, olives and wine grapes. In the Catalonia region, in an area enclosed by a rugged ring of mountains which form a fascinating landscape, we find the wine denomination of Priorat. Here the grapevines grow on terraces and steep slopes, reminding us of this ancestral practice. 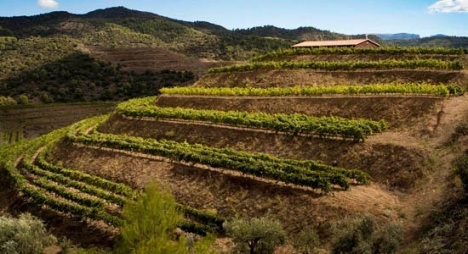 With a unique terroir, Priorat is defined by poor soil , composed of quartz and slate, locally called “llicorella” and a range of microclimas induced by mountains, the most notably the Monsant. What does this mean? Poor soil results in low yields and highly extracted grapes, giving wines from this area an exceptional concentration, body and intensity. 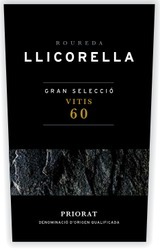 Licorella Vitis 60, 2002. This wine, 40%Grenache, 40% Carignan and 20% Cabernet Sauvignon is produced in Priorat with selected grapes from grapevines more than 60 years old. The must is macerated with the grape skins for 20 days and each variety is fermented separately. The wine has an attractive and clean ruby color, thick and plentiful legs, sliding down the glass like a symphony of tiny rivulets. On the nose, fresh black berries, cherry and leather. On the palate it has minerals, good structure, and balance. The wine still has fresh notes mixed with robust and velvety tannins. You can enjoy this beautifully aged wine with a full body and mature tannins that retains good freshness and fruitiness. Ready to drink and enjoy with hard cheese, olives and bread, in the best Mediterranean style! A few years ago we were at Eva Restaurant in Latona which is co-owned by James Hondros, our former wine manager. James poured us each a glass of Saturnia Crianza Rioja which we enjoyed so much that we took a bottle over to my late Dad’s house. After that, whenever I told my Dad I was coming over, he would ask if I could bring along some more bottles of those “saturn” wines. But one of our most enjoyable visits was with Bodegas Ramon de Ayala Lete y Hijos, who make Vina Santurnia and Deobriga. Just across the Ebro river from Haro in the tiny town of Briñas, they have a new, functional winery nestled between houses on a side street. The modern winery replaced the old bodega which has a two story underground wine cave, now used for aging home-made Cava. Laboring in quiet obscurity, there are few visitors and no tasting room. However, 4th generation winemaker Ramon de Alaya was charming and hospitable during our 4 hour visit, as we visited the vineyards, the old bodega, tasted barrel samples and the most recent releases. The secret to his nuanced wines lies in his south facing vineyards which are nestled high up against the Sierra Cantabria mountains. His oldest vineyards were planted in 1936; the youngest vineyards are 30-40 years old. The vines, planted to a mix of traditional Rioja grapes, are overseen by Ramon’s grandson, a technical agronomist engineer. Minimal intervention is used in the vineyard, whose late ripening grapes achieve great depth and balance. Stay ahead of the wine critics and try one of these little-known wines! 2004 Vina Santurnia Crianza Rioja ($15.99) Made of 100% Tempranillo, the Crianza has inviting fresh aromas, with flavors of bing cherry, boysenberry, toast and licorice. Notes of vanilla frame a persistent, earthy finish. Give it 20 minutes to open up and savor the complexity. 2004 Deobriga Seleccion Familiar, Rioja ($21.99) Spanish Table exclusive! The most modern style Rioja produced by Bodegas Ramon de Ayala Lete y Hijos, we jumped at the chance to carry this an an exclusive. Made from old vine Tempranillo and Graciano, it has complex flavors of blackberry, blueberry, hints of black olive and tobacco. A supple and full bodied Rioja, it is well balanced with notes of vanilla and minerals. An all around superb Rioja! 1999 Vina Santurnia Gran Reserva Rioja ($40.00) Notes of balsamic, plum and black cherry infuse this traditional style, medium bodied Rioja. Elegant, with notes of smoke and cedar that compliment silky tannins. Balanced and extremely well crafted, the Gran Reserva is smooth with a persistent finish. A knock out with any grilled meat. Los Beyos is a dense, compact, “peasant” style artisan cow’s milk cheese from the Asturias region of Spain. It has a unique flinty texture. The first bite’s slight chalkiness melts into a big, buttery, creamy texture with a well-balanced and tangy finish. Valèe d’Aspe This pleasantly earthy and grassy raw cow and sheep’s milk farmstead Tomme is crafted by Basque artisans in the shadow of the Pyrenees. Firm, but not flaky, this cheese speaks of mountain terroir with nutty notes, vibrant tanginess, and an olive savoriness. “SPAIN 2009 – AN ABUNDANCE OF RICHES” was last week’s Wine Advocate sensational review of 600+ Spanish wines. With superb vintages in 2004 and 2005, and excellent 2006 and 2007 harvests, over 490 wines received a rating of 90 points or higher. We’ve been advocating little known Spanish wines since 1995 and it’s rewarding to see the wine press finally taking notice in a big way! Napoleon grilled artichokes in oil (7.5 oz) We tossed these with pasta and halibut for a quick and delicious dinner this week. Dona Maria Black Mole sauce (8.25 oz) Concentrated. Add liquid, heat and serve. Mas Portell flavored olive oils: Lemon and Clementine are back! Flamenco Arts Northwest presents a three day workshop with Maria “Chacha” Bermudez, Friday evening through Sunday afternoon. The legendary dancer and teacher from Jerez will teach two 90 minute levels each day of the workshop, accompanied by Marcos and Rubina on guitar and cante. Workshop will be held at American Dance Institute, 8007 Greenwood Ave. North. Preregistration is strongly advised as this event always fills up quickly! Times and prices are posted at http://www.FANW.org (see calendar or workshops), or call Rubina at (206) 932-4067 for more information. Enjoy our great summer, and come see us at the shop! Certain memories of Spain linger in our minds years after the details of the trip has faded. One of these enduring images is of mothers in black, the mamacitas, inhabiting the white washed villages we visited during the 1980’s. They were the last of a generation and part of an agrarian culture that stretched back across eons of time. They were mothers who gave birth to their children at home under the watchful eye of a midwife. Mothers who prepared their childrens’ meals from whatever ingredients were available, what we call Cocina Pobre, in The Spanish Table cookbook. Mothers who kept the home fire burning and whose love was rich beyond measure. ¡Feliz Dia de Madre! For Moms that are cheese aficionados, these quesos make a sensational addition to any brunch or gift basket! Peña Corado: This new blue cheese is picking up serious momentum among cheese connoisseurs. Voluptuous & buttery, Peña Corado is high in moisture with a compact supple texture. 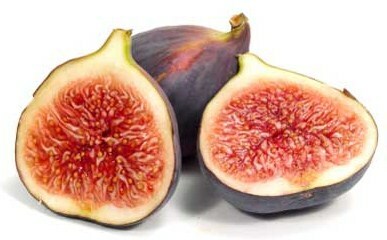 Rich, creamy, sweet and salty, it has a long blue finish and is a perfect partner for crisp fruit. Sharon’s favorite cheese, Monte Enebro is back in stock. Made by one man, this phenomenal soft goat cheese is coated with ash. It is spreadable, creamy and tangy. It melts on your tongue and is a full-flavored cheese. Rillettes de Périgord-Duck Meat Pate, all natural A traditional French dish, Rillettes du Perigord are made of the finest duck meat and seasoned duck fat. The meat is simmered in spices, juices, and fat, and left to soak up as much flavor as possible. The saturated meat is then pounded into a spread. Delicious with Arrope, (Grape Must With Pumpkin). Recieve a complimentary $15.00 gift certificate with purchase of the new edition Spanish Table cookbook by Steve Winston($30.00). La Cocina de Mama by Penelope Casas ($29.95) 175 recipes gathered from great chefs and traditional home cooks from every region in Spain, representing the best of Spanish recipes handed down through generations of Spanish “mamas”. Clos Mogador Olive Oil ($37.00)From Rene Barbier’s legendary estate in Priorat, this is one of the most complex oils we’ve tasted. Drizzle over grilled fish or vegetables for a savory finish. Valor Chocolate Little Secrets ($5.39/2.2 oz) These chocolate truffles from Spain’s premier chocolatier are guaranteed to please Mothers who love chocolate! Teas ($4.99/25 bags): Choose from Lemon tea, Camomille with Anise, Tea with Saffron or Peppermint. Sunny Tunisian yellow and red ceramics (pictured above), including tea pots and mugs. Cheerful on any table! Made in Spain DVDs with Jose Andres ($31.49). Let Mom follow chef Andres around Spain without buying an airplane ticket. 2006 Vistalba Corte C, Mendoza ($10.99) Winemaker Carlos Pulenta has crafted a rich and balanced red wine in his blend of 80% Malbec and 20% Merlot. Flavors of ripe boysenberry with black tea notes and structured tannins go down all too easily. “Juicy, with a nice compact core of plum sauce and fig that should unwind nicely, supported by licorice, fruitcake and black tea notes.” 88 points Wine Spectator Great value! NV Cavas Hill Brut de Brut Reserva Artesania ($9.99) Cavas Hill Brut de Brut is made in the traditional cava method with fermentation in the bottle and aging on lees for 20 months. Clean and crisp, it has very small, fine and delicate bubbles with fruit aromas. Green apple flavors provide great freshness and it has a creamy, elegant and pleasantly long finish. 40 + farmers are expected to take part in this first annual festival. Farmers will set up tents on the cobblestone parking area and will offer cut flowers, seeds, bulbs and flower starts for sale. We hope to see you soon in the shop, and in the meantime have a great week! VALENTINE’S DAY IS SATURDAY FEBRUARY 14! One of our favorite celebrations, Valentine’s Day, is right around the corner. Our February Gold daffodils are poking their heads up and cheerful sunny weather is signaling the end of winter doldrums. What a great occasion to invite friends over! February is prime season for crab and oysters and, aphrodisiac qualities aside, pairing shellfish with cava is a stellar combination for Valentine’s Day. Not a seafood fan? Substitute marinated pork tenderloin and serve with a rosé cava for a meat-centric celebratory meal. Bubbly: We have a broad array of Spanish Cavas to meet every taste and budget and a couple of Argentinean sparklers as well. From reliable Segura Viudas Brut Reserva ($7.99) to the complex and yeasty Agusti Torello Mata’s Reserva Bayanus Cava ($24.99/375 ml), stop in and check out our selection. Gift certificates: When in doubt, give a Spanish Table gift certificate. Available in any denomination. HEAT, BILL BUFORD: In 2002 Bill Buford, an editor at New Yorker magazine, met Mario Batali and decided he needed to work in the kitchen at Babbo. He not only slaved in that New York restaurant but went off on crazy sojourns apprenticing with even more eccentric individuals in Tuscany making pasta and butchering four legged animals. Bill is extremely erudite and captures both “Molto Batali” and culinary Italy in this book. If you watched Batali in the recent PBS series, On the Road in Spain, you will have your worst suspicions delightfully confirmed by the descriptions of Mario in this book. We have grabbed a pile of the paperback version of the book which is on sale for only $7.99. 2007 Eximus Branco (Estremadura) $6.99 Not only graceful and refreshing, Portuguese Eximus has a myriad of other appealing characteristics. 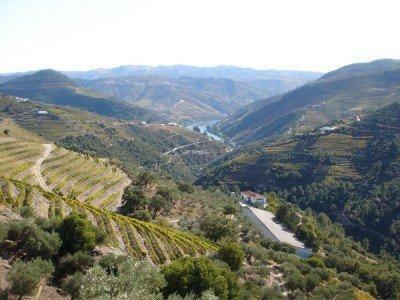 For starters, when have you tasted a blend of Fernâo Pires, Vital (reputedly a cousin of Sauvignon Blanc) and Moscatel grapes? Secondly, Eximus is an all-around, well balanced white wine that pairs well with cheese or fish dishes. With enticing pear aromas, it has ripe lychee, honey and melon flavors. Lively and crisp, it has vibrant acidity with notes of citrus and plenty of length. And finally, all of this goodness can be had for just $6.99 per bottle. What’s not to like? 2007 Terrai Garnacha, Cariñena $6.99 The Cariñena region is one of the oldest D.O.s in Spain and is known for producing tasty quaffers that are a great value. Terrai is made from 100% Garnacha. Light on its feet, it has notes of dust, rich black fruit flavors and a dry finish. Well balanced, all in all this is a great every day wine that pairs well with grilled pork or flavorful roasted vegetables. 2007 Hacienda Plata Zagal Malbec Mendoza ($9.99) We snapped up a case of Zagal after just one sip. Loaded with cherry aromas, it has rich blackberry, vanilla, and licorice flavors. Balanced with minerals and ample acidity, it begs to be paired with red meat. 2005 Miranda (Rioja) $14.99 Wow! Fresh aromas of pie cherry with a hint of earth and oak on the front palate segues into a mouth full of zingy, ripe bing cherry and intense plum flavors. Miranda is 100% Tempranillo with eight months aging in America and French oak casks. Herbal undertones compliment tar and licorice on the persistent finish. Miranda is a great all-around Rioja that will appeal to both traditionalists and modernists. LA CONCHA WHITE TRUFFLE SEA SALT FLAKES, $9.99: Along with lamb chops and Luis Cañas Rioja, we tossed asparagus with fideo #2 pasta, Hojiblanca extra virgin olive oil and dusted it with a new arrival: white truffle salt. When we unpacked the ocean container from Spain last week, it was filled with the aroma of this salt which is a full 8% truffles. The low price reflects the current exchange rate and that we direct-imported it with no middle men. In fact, a few years ago, I drove down the coast near Alicante to visit the salt drying ponds with Rosa Bevía, the owner of this Spanish salt company. 14 PALLETS OF NEW STOCK JUST ARRIVED: We have them again: All sizes of paella pans, propane burners and cazuelas. AGAVE NECTAR or MEXICAN VANILLA, $6.99: We tracked down a few dozen bottles of the beautiful flasks of these products. Use the agave nectar to make the best margarita ever. TEQUILA FLAVORED LOLLIPOP: Clear, nonalcoholic candy complete with a worm. Can you lick this? Need we say more? GRAINS OF PARADISE: We have been crushing some of these round seeds in our mortar and sprinkling them over savory dishes. Grown in Ghana, Mustapha’s grains of paradise are a wonderfully aromatic and pungent substitute for black pepper, adding exotic hints of ginger, coriander and cardamom. In Morocco they are ground and are an important ingredient in the spice blend Ras El Hanout. UPSCALE GRILLED CHEESE SANDWICH: March’s issue of Bon Appétit takes comfort food up a notch. Use Manchego cheese and Jamón Serrano to make a grilled sandwich and toss in a layer of chopped Mejool dates (page 68). Our cheese monger George has negotiated fantastic savings on our most popular cheeses. Exploring World Flavors: Eating at home more often means constantly stretching our repertoire. This week we rubbed Porqué Pig Rub spice mix on pork chops and wow, did that bring them up to a New Mexican level of spiciness! Farro cooked in chicken stock with mushrooms sauteed in Picual Extra Virgin Olive Oil and a heaping spoonful of Miguel & Valentino chopped garlic was a fantastic side dish. Last week, we jazzed up Zürsun red lentils by stirring in a tablespoon of Mustapha’s White Meat Seasoning. We have many, many ingredients that will enliven your palate from Le Moulins Mahoub Tunisian Couscous & Pasta sauces to Matiz Spanish Smoked Sea Salt. Heat oven to 400 degrees with rack in the center. Line a baking sheet with parchment. Toss cauliflower with oil, 1 1/4 teaspoon salt and pepper. Spread in a single layer on baking sheet and roast, stirring and turning over once or twice, until cauliflower is tender and crispy brown in spots, about 45 minutes. While cauliflower is roasting, puree tahini paste, water, lemon juice, garlic and remaining salt. Transfer to a large bowl. Remove cauliflower from oven, immediately add to bowl with tahini sauce, and toss with sauce and parsley. Season with more salt to taste if necessary and serve warm, or let stand at room temperature for several hours before serving. Light some Candles, Put on a Spanish Guitar CD. Slice a Chorizo; Lay out an Iberian Cheese Plate. Stuff Two Piquillo Peppers with Dungeness Crab. Toss a Lobster into the Paella. Twist Open a Valor Bonbon. Read Aloud from a Book of Spanish Love Poems. Or pop the cork on a Malbec and Tango ‘til the steaks are grilled! Spanish Wines are smooth, supple and affordable. Ask us to help you pick out a sparkling Cava, lush white or memorable red. Drink it at home with a special menu or pay corkage in a romantic restaurant. You Only Live Once, Live Well! 2007 Ben Marco Malbec (Mendoza) $21.99: We fell in love with this wine in Santa Fe at Spanish Tapa restaurant La Boca. Made of 90% Malbec and 10% Bonarda, Ben Marcos is perfect for people who like big, ripe-fruit, jammy styles of wine. Aged for 11 months in oak, it has soft tannins and paired wonderfully with roast duck. 2004 Martino Old Vines Malbec, (Mendoza) $17.99: It’s rare to find an old-vine Argentinean Malbec, never mind one produced from a vineyard planted in 1926 with ungrafted clones brought directly from France. Only two wines are made at this 18.5 acre estate. Unfiltered and aged in new French Oak, Martino is extremely elegant with lush blue fruit flavors, vanilla notes and a hint of chocolate on the lingering finish. Unfortunately, the distributor only had a few bottles left but we snapped them up. Grab one while they last! Santa Julia Tardío 2007 Late Harvest Torrontés (Mendoza) $12.99/500ml: We have been lapping up dry white wines made from Torrontés with salads and seafoods. Now we have a sweet, late harvest wine. From one of our favorite producers, it has fantastic aromas of peach, flavors of honey and a light body…as a rule of thumb, if you are going to serve it with dessert; a wine needs to be sweeter than the food. Aragones: One of the lesser known cheeses of Spain. Mild, buttery and grassy, it has a dense creamy texture. Bright and herbaceously sweet, this washed rind cows’ milk cheese has a soft texture. Pair this gooey cows’ milk cheese with a nutty Basque sheep’s milk cheese and a savory goat cheese on your next platter. Azkorria Ossau Iraty: This award winning, classic Basque cheese is made from raw sheep’s milk by a small artisanal producer in the Pyrenees Mountains. The slightly dry flavor gives way to a creamy, buttery quality. The flavors hint of subtly mingling herbs and opens to slightly nutty undertones. 2007 Onix Classic (Priorat) $15.99 A blend of 50% Grenache and 50% Cariñena grapes, the low yielding vines are planted in shards of slate called “llicorella”. A bouquet of dark plums, sweet black cherries and a hint of rosemary, with intense concentration, soft tannins and a touch of black pepper in the finish. A great value from Priorat! 2004 Campo Viejo Reserva Rioja ($13.99): An amazing value for an aged wine from a great vintage (look for Rioja wines from vintages 2001, 2004 and 2005). A traditional style Rioja in every sense with plum and cherry notes, sweet tannins and saddle leather flavors. 2000 La Rioja Alta Viña Ardanza (Rioja) Alta ($35.00): Part of our blind tasting in California, this is not new but it was the knock out memory-maker. Its sensuous body is pure silk and the finish lingers like an old friend reluctant to leave. Renew your love over this on Valentine’s Day either at home or take it to a romantic restaurant. 50 Wines under $10: We continue to search out great bargain wines and carefully screen them for quaffability. Tasting dozens of low-priced wines looking for winners is a tough job but fortunately there are many great values to be had. Stop in and check out our latest finds! FOODS: One of the stops in the Bay Area was the Fancy Food Show in San Francisco. We were delighted when on Wednesday the Chronicle newspaper food writers picked some products we stock as their favorites: Xoxoc dehydrated prickly pear with chile that are sweet, sour, salty and hot from Hidalgo, Mexico. These are slightly chewy prickly pear with a little savory spicy hit. As well as Matiz light and rustic Andalucian olive oil cakes from Spain which come in four flavors: garlic-parsley, sugared, cinnamon and the original with anise. Ros: A granular aged sheep’s milk cheese with notes of brown sugar. Montcaber: Bathed in charcoal and vegetable oil with a semi soft texture truffle flavor. Pricing: It has been a roller coaster year for prices with the Euro soaring to over $1.60 and then settling back down to $1.30. Freight surcharges also rose mid-year reflecting the cost of crude oil (transportation companies routinely add a fuel surcharge to every bill based on a government index published weekly. At one point this summer, it was adding 30% to every freight bill). We are not only passing reduced costs on to you but we are anticipating reduced cost by narrowing our margin on inventory we purchased when prices were higher. So stick with us, we are doing the best we can as fast as we can.